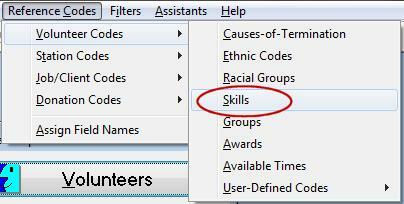 In the Volunteer Profile click Edit Volunteer to select this person's skills. 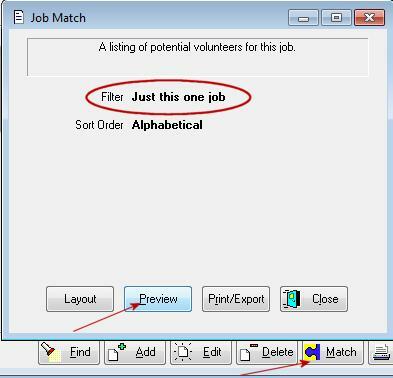 After you click OK, on the volunteer's Profile in the Skills field you will see only the skills you have selected for that volunteer. 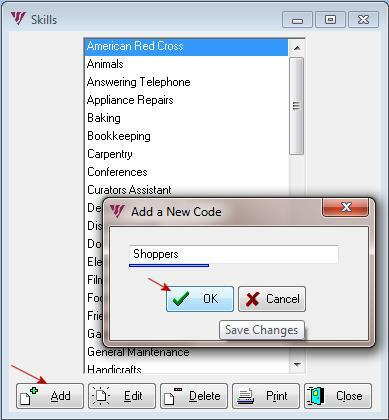 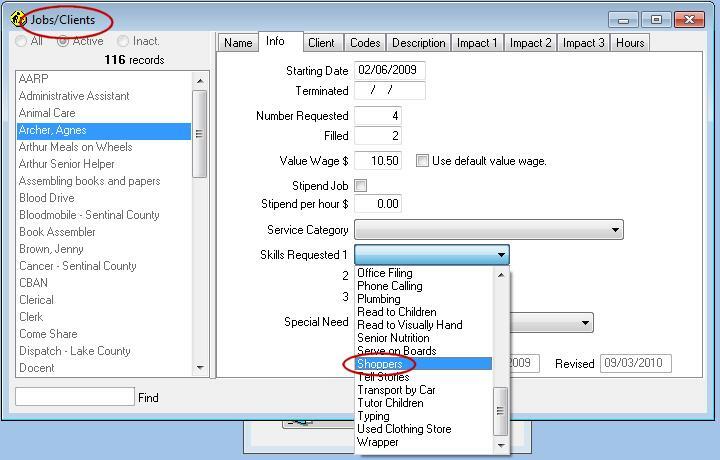 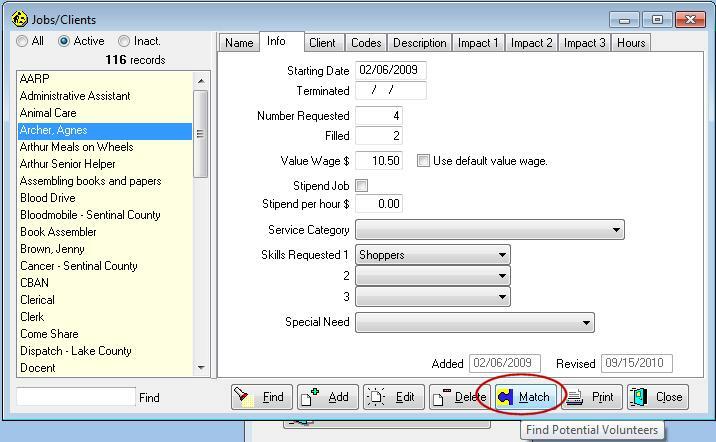 In Jobs/Clients click the Match button on the Jobs screen to prepare a report listing all possible volunteers for this job based upon the volunteer's skills.